Would a Trump EAS Philippines Miss Matter for US Asia Policy? Though a miss would no doubt be unfortunate, its significance also needs to be kept in perspective. WASHINGTON, D.C. – Earlier this week, reports begun surfacing that U.S. President Donald Trump, while preserving his ambitious inaugural five-country trip to Asia next month, would cut short his trip and miss out on some mulled engagements including the annual East Asia Summit (EAS) in the Philippines. Though Trump missing the EAS would unquestionably be an unfortunate development, it also needs to be put into proper perspective within the broader context of U.S. Asia policy and where this new administration is. Trump’s EAS Philippines miss would no doubt be both an unwelcome challenge and a missed opportunity, as I have argued before (See: “Why Trump Should Go to EAS and APEC in the Philippines and Vietnam”). Even though he may only be missing some of the engagements on his trip, given the skepticism surrounding whether or not the administration would follow through with its announced visit in May, any deviation from the schedule was almost sure to exacerbate uncertainties about a new administration’s commitment to multilateralism in general and in ASEAN in particular. Trump will also have lost a valuable chance to personally show up and advocate for the kind of more action-oriented EAS that Washington has been pushing for over the past few years. And though Bill Clinton, George W. Bush, and even Barack Obama have all canceled Asia engagements before as well, there arguably could not be a worse time for such an unwelcome challenge and missed opportunity. This year marks both the 50th anniversary of ASEAN’s founding and the 40th anniversary of U.S.-ASEAN relations. And with Chinese President Xi Jinping coming off the high of the 19th Party Congress, the sensationalist headlines about Chinese inroads in Asia in the face of U.S. uncertainty would write themselves. Though the actual picture is far less dire and much more complex, this would not be the first time that perceptions have created their own reality (See: “China: New White Paper, Old Asia Conundrum”). At the same time, the significance of Trump missing this year’s EAS in the Philippines also needs to be put into proper perspective that takes into account the wider progress the United States has made on multilateralism in its Asia policy over the years, the broader shape of the Trump administration’s commitment to the region to date, and the challenges inherent scheduling U.S. presidential travel to Asia under the unique set of circumstances the Trump team faces. First, Trump’s EAS miss should not detract from the wider progress made in terms of where the United States stands on multilateralism in its Asia policy. For decades, Southeast Asian officials had to live with episodic U.S. attention to and involvement in regional multilateral institutions as a fact of life, with U.S. officials not only missing parts of ASEAN summitry but even privately and at times publicly chiding the slow pace of their development. This tendency was rooted not just in a series of scheduling difficulties, but ambivalence by Washington about the extent to which it wants to prioritize multilateral approaches relative to bilateral alliances and partnerships as well as those that lie in between these two extremes, including minilateral ones. Though that debate continues today, the Obama administration deserves credit for significantly narrowing its contours by institutionalizing some U.S. commitments to multilateralism (See: “Why the US-ASEAN Sunnylands Summit Matters”). Joining the East Asia Summit and annualizing U.S.-ASEAN Summits effectively added an annual Southeast Asia visit to the calendar of the U.S. president, settling a contentious issue over whether Washington would ever agree to arguably the most valuable indicator of high-level commitment to multilateralism: the president’s time. The tradeoff, recognized even then by U.S. and ASEAN policymakers, was that there would essentially be an annual debate about whether a sitting U.S. president would and could follow through on this commitment, grafted on to the U.S.-China scorecard that has tended to dominate the headlines over the past few years. That is a tough bar for a president to clear, as even Obama discovered when he had to miss EAS once back in 2013 in the wake of a government shutdown. Trump’s miss no doubt carries greater weight given his personal skepticism about multilateralism at the outset and the fact that this is his first Southeast Asia voyage. But the silver lining is that as a result of the Obama administration’s institutionalization of this commitment, it now allows Southeast Asian officials greater room to hold Washington accountable for a single miss rather than it simply being dismissed as a scheduling problem as it had been prior to that, and to keep it engaged subsequently. As a case in point, visiting Singapore’s Prime Minister Lee Hsien Loong, in his appearance at the Council on Foreign Relations (CFR) on Wednesday in Washington, D.C., politely framed Trump’s EAS miss in terms of this annual institutionalized commitment, noting that he hoped that the Trump would attend next year. Though whether this will occur or not is still unclear, Trump’s acceptance of a visit to Singapore in 2018, the miss this year, and the centrality of Singapore to wider U.S. Asia policy, would seem to suggest that the odds are quite good on the face of it, which would at least be a corrective for the miss this year (See: “What’s Next for US-Singapore Ties Under Trump?”). Second, Trump’s EAS miss should also take into account that the U.S. president’s visits and engagements therein are just one manifestation of any administration’s commitment to multilateralism and Asia more generally. Given the doomsday scenarios set out by naysayers at the outset of the Trump administration, the level of engagement with Southeast Asia and ASEAN has actually been quite good, with four Southeast Asian leaders given White House meetings in under a year, a Special U.S.-ASEAN Ministerial convened in Washington, D.C. in May, and key U.S. officials including Secretary of State Rex Tillerson and Defense Secretary James Mattis emphasizing the importance of ASEAN to Trump’s Asia policy while out in the regions (See: “The Truth About Trump’s Asia Commitment Problem”). The engagement record extends to the ASEAN chair and EAS host the Philippines as well, which is now being led by President Rodrigo Duterte (who himself has not exactly been a huge fan of multilateralism) (See: “The Truth About Duterte’s ASEAN South China Sea Blow”). Though challenges remain and uncertainty over the potential fallout from a Trump-Duterte summit lingers, U.S.-Philippine ties themselves appear to be on a relatively more stable trajectory due to some hard work done at the working level since the rocky start when Dutere first came to power (See: “What Will US-Philippines Military Exercises Look Like in 2018?”). Keeping a single engagement in perspective is important not only get a broader sense of the administration’s commitment to multilateralism so far, but also to hone in on the more serious limitations beyond a visit. As I have been arguing for months, the chief challenge for the Trump administration’s approach to Asian multilateralism is not the absence of individual engagements, but how these will fit into a more coherent strategy that has a broader role for ASEAN (See: “The Ticking Clock on Trump’s Asia Strategy”). To its credit, the administration appears to have recognized this, with ASEAN increasingly being incorporated into a wider conception of a rules-based order in the Indo-Pacific which Trump is expected to outline in Vietnam. To be sure, this approach to multilateralism pales in comparison to both the breadth and depth of the engagement we saw under the Obama administration. But it is worth emphasizing that it is still early days. As I have noted before, though administrations are often caricatured as being “bilateral” (George W. Bush) or “multilateral” (Barack Obama), in practice these are not as mutually exclusive as they are portrayed and all presidents tend to find their own balance of different approaches over time. Bush, for instance, started with securitizing APEC and selective attendance at ASEAN meetings but ended by knitting bilateral trade deals into the Trans-Pacific Partnership (TPP) and paving the way for greater U.S. diplomatic engagement with ASEAN that deepened far more under Obama, a nuance often missed in some superficial accounts. Third and finally, those familiar with the planning around U.S. presidential travel know that any assessment of the significance of a Trump EAS Philippines miss needs to take into account the unique set of circumstances that this new administration finds itself in along with the personality of Trump himself. 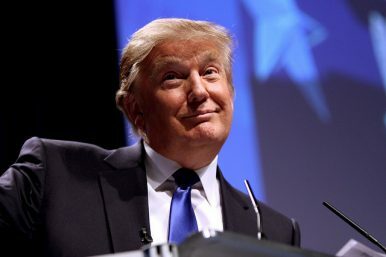 Given the Trump administration’s lack of progress on its domestic agenda with the 2018 midterm elections looming and with so many challenges in a tumultuous and fragmented world – including a weakened but still dangerous Islamic State, simmering Middle East, resurgent Russia, and a frail Europe – some were surprised when the White House unveiled earlier this month that Trump would be spending nearly half a month – from November 3 to November 14 –on a crammed five-country trip across Northeast and Southeast Asia. For perspective, Obama, a bigger fan of these sorts of overseas trips and likely a performer at ASEAN-led summits than Trump, had even his longer Asia voyages last around just a week. Beyond the length of the trip itself, U.S. presidential trips are scrutinized all the way down to particular legs or engagements, and this one is no exception. Even when the White House had announced the schedule earlier this month, some had already begun to worry that one of the Southeast Asia legs would end up being cut entirely, that there would not be enough time for some of the bilateral engagements, and that Trump might be too worn out to last through some regional meetings (a true test of stamina, as those who have attended them know well). Seen within this context, if Trump ends up just missing EAS, preserving some of the other existing engagements that are encouraging including the delivery of a strategy speech in Vietnam and bilateral meetings in the Philippines and Vietnam (the latter requires additional travel from Danang where APEC is held), that would actually still be quite a strong message of U.S. commitment to Southeast Asia given the circumstances. Trump missing the EAS would unquestionably be an unfortunate development for his administration’s evolving approach to multilateralism and overall Asia policy. But a true and fair assessment of its significance so early on in a new and unconventional administration is also not possible without sufficient attention to historical context, wider current developments, and the structural constraints of policymaking. The administration needs to unveil a more comprehensive approach to the region soon. What Was the First Special US-ASEAN Meeting Under Trump Really About?Trump’s Indo-Pacific Strategy ChallengeWhy Trump Should Go to APEC and EAS in Vietnam and the PhilippinesTrump’s Real ASEAN TestTillerson’s First ASEAN Voyage: What’s on the Agenda?